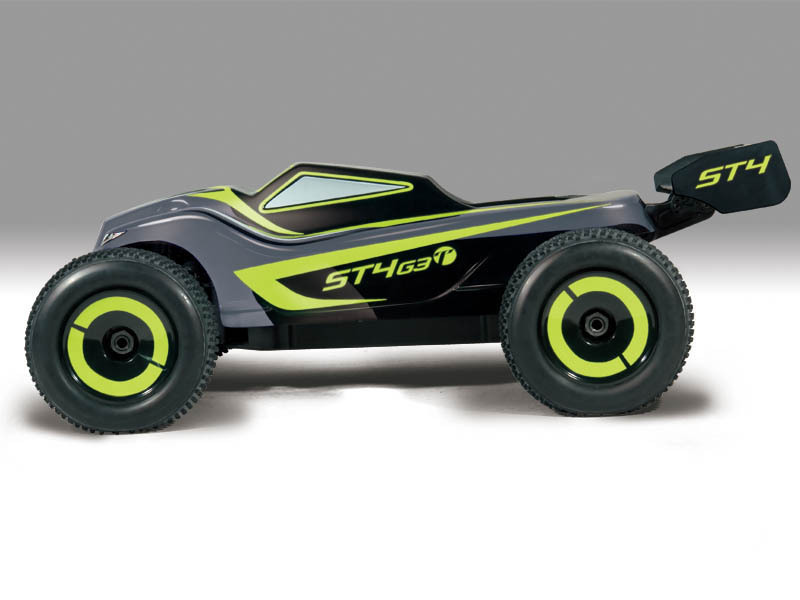 There are not many electric truggy’s out there yet, and I have not seen an RTR till now! 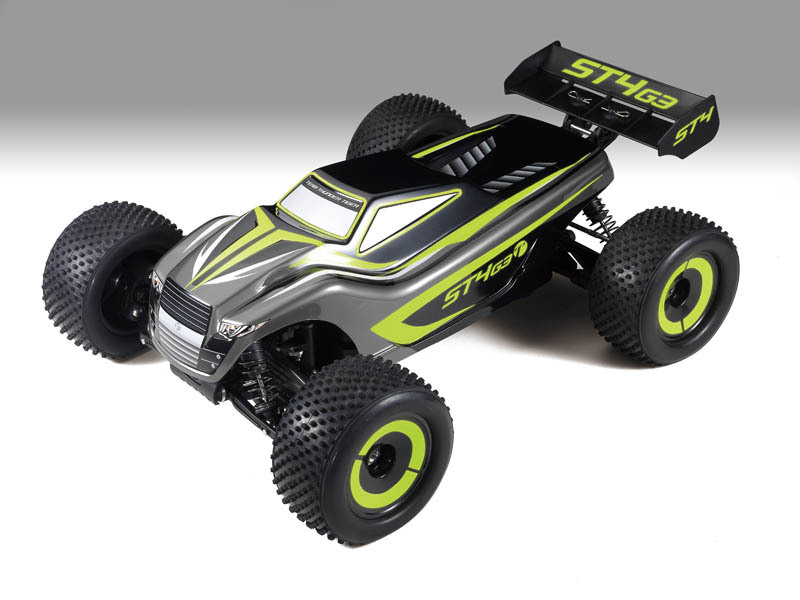 Tough factory-assembled chassis with the same low center of gravity as the nitro ST-1. Exquisitely designed metallic body with light neon yellow accents. Powered by a BLC-80C ESC and Ripper IBL40 2000kV brushless motor. Extra strong suspension arms with fully adjustable ride height. Fully adjustable pivot ball system for easy toe, camber and caster tuning. Four oversized oil-filled shock absorbers with 16mm dia. pistons. Precision-milled hard coated 7075-T6 aluminum chassis. 8kg metal gear high torque steering servo. Machined adjustable aluminum motor mount. Equipped with front/center CV style drive shafts. Molded battery tray supports two 2S or one 4S LiPo battery pack(s). 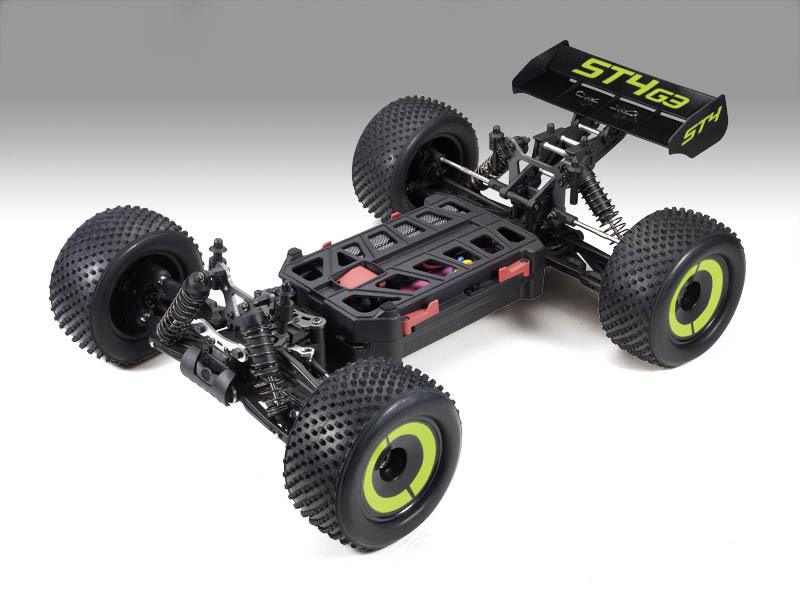 Soft compound high grip tires ® racing dish wheels. High quality ball bearings are used throughout. High current Deans® Ultra Plug® included.